John Cutler & Stefano Bemer shared a passion for the pursuit of bringing unique ideas to life with the finest possible hand made craftsmanship. A common thread which laid the foundation for a great friendship that would span many years. 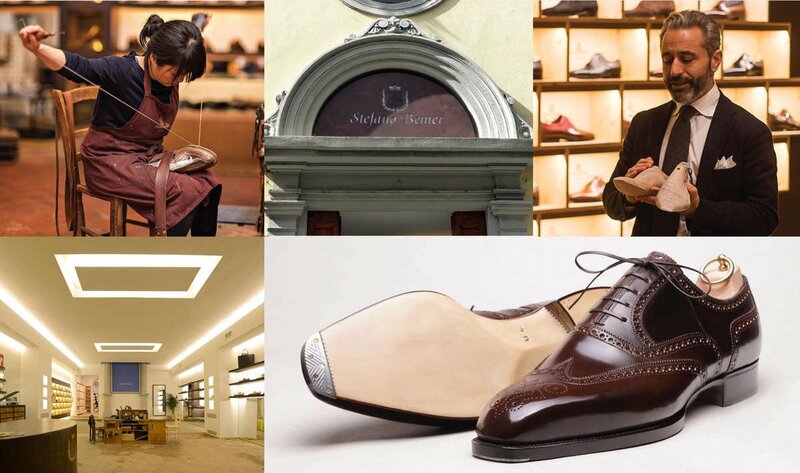 Stefano’s unwavering ambition to create the perfect Italian shoe and his ability to achieve it inspired John to have Stefano Bemer shoes available for commission at J.H. Cutler, seamlessly complimenting the artisanal craftsmanship of the firm’s tailoring for many years until Stefano’s untimely passing in 2012. Since that time, the institution created by Stefano Bemer has been stewarded by CEO Tommaso Melani, who has preserved all of the designs, individual techniques and original ideas mastered by Stefano and retained the extremely talented craftsmen that Stefano selected and trained during the last 15 years of his career. Tommaso’s creative vision is to nurture the business in the most meaningful way, and lead it toward new achievements while staying true to Stefano’s original vision. The operations were moved to an old chapel in Florence which Stefano himself had hopes of moving into someday. 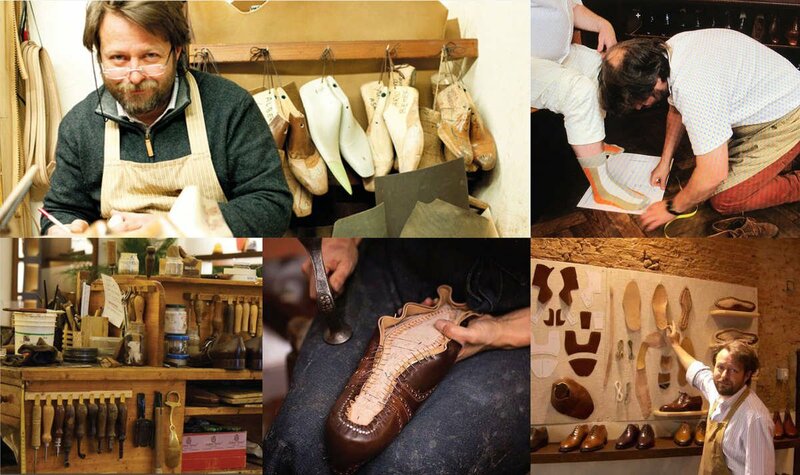 It was here that Tommaso’s vision of training, the finest bespoke shoe making, unparalleled made-to-order, and perfectly crafted ready to wear came to life. 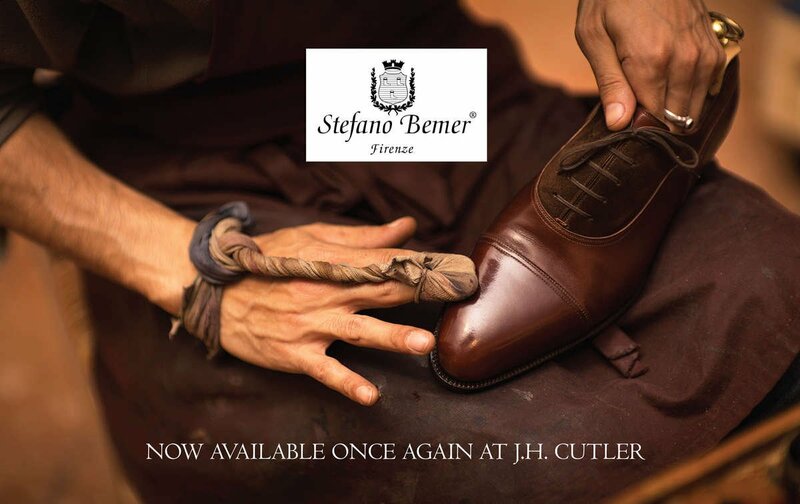 It is with great pleasure we announce that Stefano Bemer shoes are again available at J.H. Cutler, exclusively in Sydney. Iconic house styles are available by ready-to-wear (RTW) or you can build your dream shoe with ease via a state of the art made-to-order (MTO) program. 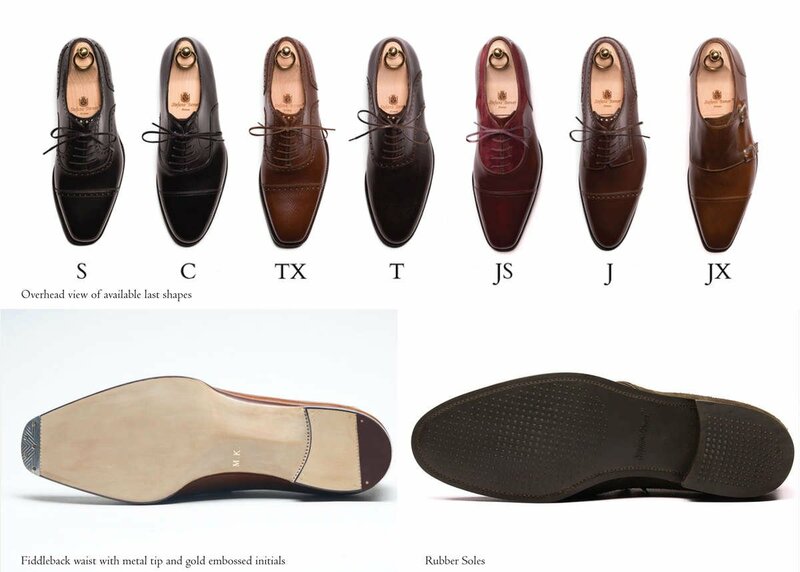 The made-to-order shoe program in it’s essence, is a beautiful marriage between bespoke & RTW. 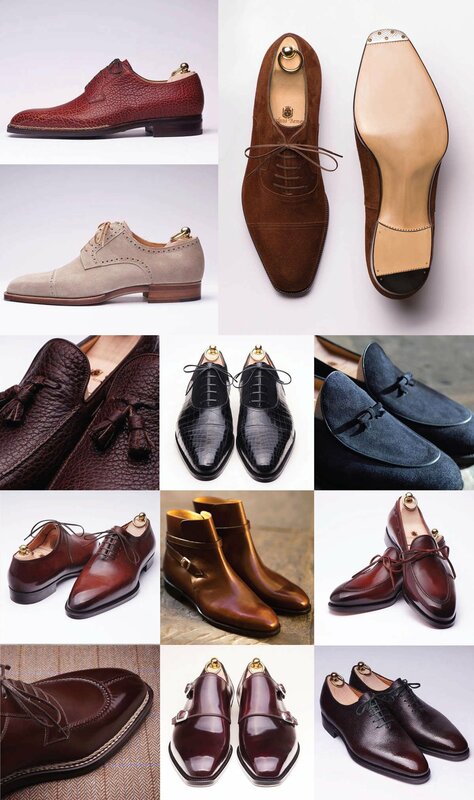 You have the opportunity to create the shoe you want by selecting your ideal combination of style, leather, last shape, sole, liner and extra details available. Leather's available include a wide range of calf skins in various colours, patterns, finishes, and suedes, in addition to specialty leathers including cordovan, bison, croc & ostrich. An easy fitting process allows us to fit your feet from a comprehensive range of standard sizes. The fitting process involves trying on a fitting shoe to determine the size and last shape that is right for you. While not bespoke, the intricacy of the fitting process can still achieve an excellent custom fit for most unique requirements. A different size in half size increments can be made for each foot, prosthetic heel insoles can be accommodated for and each sole can be made with different thicknesses on each foot where required. Style and quality options include metal tipping, gold embossed initials, rubber soles, decorative Norwegian or Tyrolese stitching, broguing, padded insoles, antique patina, shearling lining, wool insulation, and the seductive fiddle back waist. Alongside the iconic shoes Stefano Bemer are renowned for are a new achievement developed by Tommaso in the way of custom luxury sneakers. Unparalleled in their quality and customisation, they beautifully compliment the new made to measure and bespoke casual luxury offering of knitwear, denim & outerwear from CANVAS by J.H. Cutler. Each pair of Stefano Bemer MTO shoes come with wooden tree lasts, a shoe bag for each shoe and a tin of specially formulated Stefano Bemer polish matching the colour of your leather, all packaged in a branded pine shoe box which tremendously aids the preservation of your shoes while in storage. 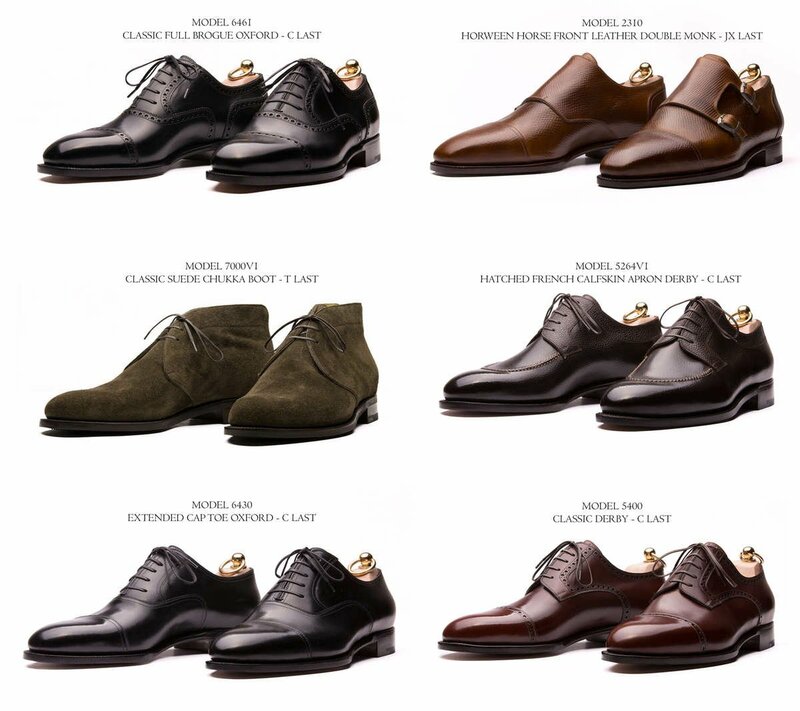 Stefano Bemer MTO shoes are priced from $1800 depending on style, leather and additional options selected, and the lead time is generally from 8 - 10 weeks depending on the time of year and availability of certain raw materials. For more information or to book an appointment please click on the link below, or call the J.H. Cutler showroom on +61 2 9232 7122.